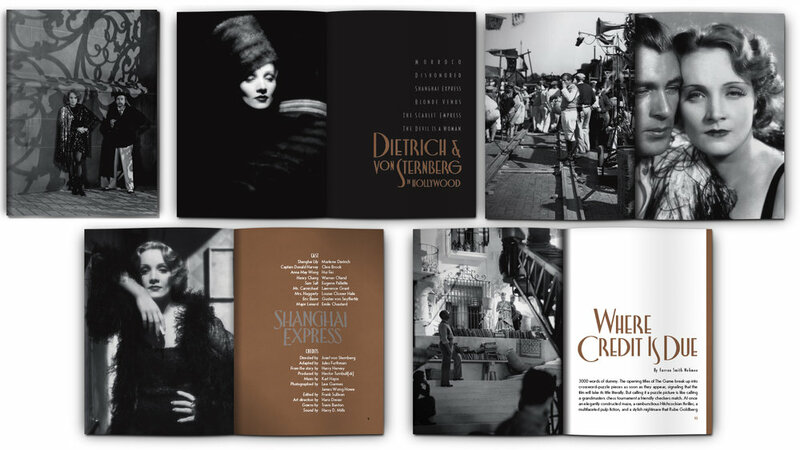 Dietrich & von Sternberg in Hollywood, a boxed set edition by the Criterion Collection compiles all six of the films which the star and star director made together at Paramount in the 1930s. 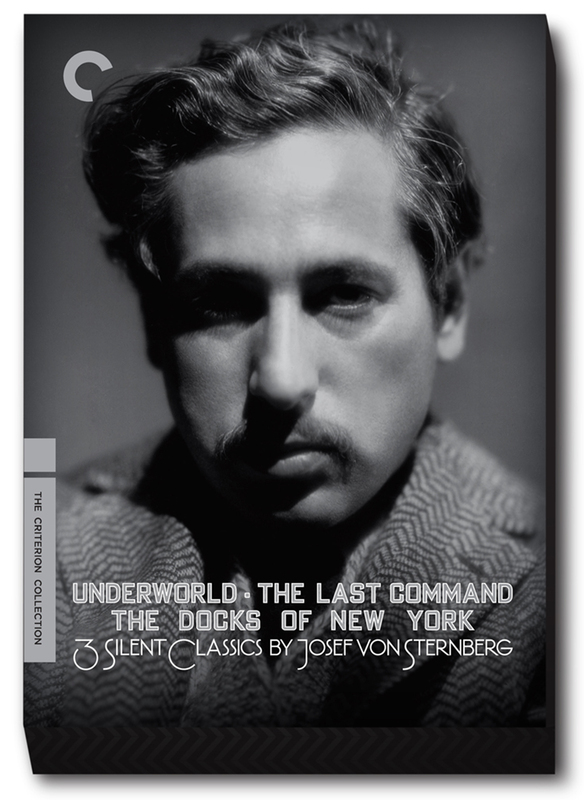 As described by Criterion on the back of the slipcase, they’re “deliriously entertaining masterpieces [that] are landmarks of cinematic artifice”. Though I wasn’t explicitly given that description at the time, the idea of artifice was ever present in my mind, informing many of the design choices. Like von Sternberg recreating Shanghai on a Hollywood backlot, I wanted the packaging to be a kind of simulacrum of 1930s era design. 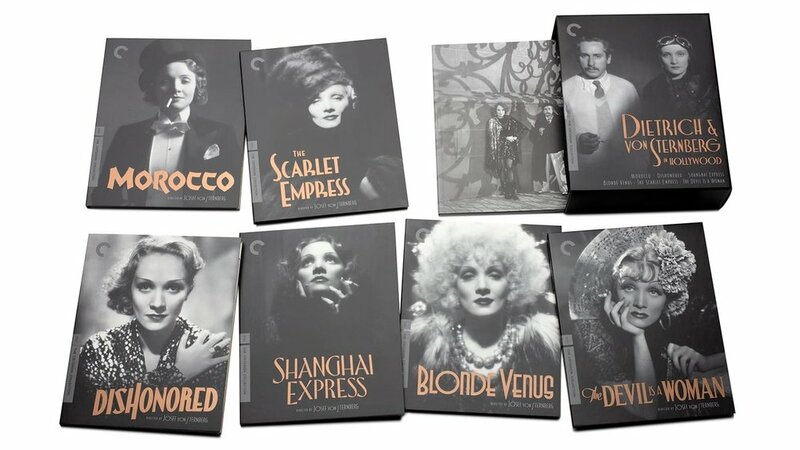 I‘d previously done a von Sternberg collection for Criterion that featured his silent films at Paramount and —in collaboration with art director Sarah Habibi— decided this set should pair with it as best it could. The earlier collection used black and white portrait photography and an identical typographic theme throughout. That may have been OK for three films but this time around we had twice as many titles to cover. The monotony of the same type treatment would likely prove dull and not serve genres as divergent as these. A unique, period correct title treatment would bring the requisite glamor as it set the tone for each film. Ideally the box would feature a portrait of the the director and his actor/colaborator/muse but the imagery we had on hand wasn’t providing that. I made a trip to the Motion Picture Academy’s Margaret Herrick Library in Los Angeles to look through the core collection hoping to find something that might fit the bill. The Margaret Herrick Library is an amazing repository of books, photographs, posters, correspondence, you name it —and its open to the public. Not only did they have an image which would become our cover but also some of the imagery that appears throughout the set. Dietrich & von Sternberg in Hollywood wouldn’t have been the same without them. I wanted the cover type to have a quality that one associates with the movie posters or title cards of the day and specifically sought type styles that appeared to be hand-lettered. There’s no artifice without the hand of the artist so it felt important to keep that element in the foreground. In no particular order, here’s an example of the kinds of treatments I played around with before landing on the one that was eventually used. These were initial explorations intended to suss out a vibe before really getting in there and tinkering with things. Once we locked in a style we felt was working for us, the selected title treatment then became the ‘voice’ of the collection —speaking for the set as whole. 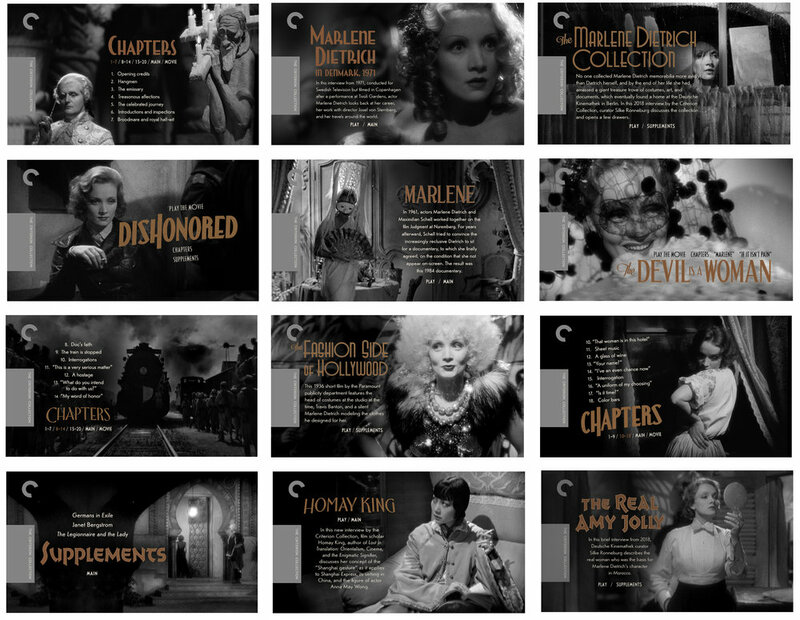 It appears exclusively on the slip case and throughout the accompanying eighty page book which gives an overview of the films as well as essays on Marlene Dietrich and Josef von Sternberg. You can’t really tell from these images but all the components are printed with a bronze metallic ink. It gives everything a luxe shimmer. The process for the individual title treatments was no different than that of the the main. In total there are seven type styles used throughout the set. The movie title treatments, which make cameo appeareces in the book on their respective cast and credits pages, also appear on the DVD menus. They’re there, not just as main titles but as a typographic style for the menus of each movie. Here’s some examples of that — if I’ve done my job well you should be able to determine which menu belongs to which film at a glance.